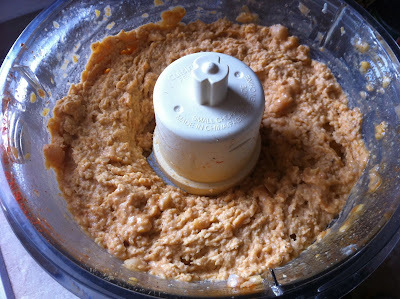 Naked Cupcakes: My favourite hummus (right now) and an exciting trip! 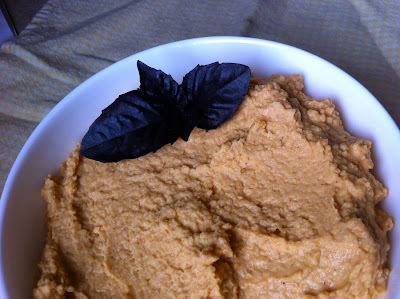 My favourite hummus (right now) and an exciting trip! Today is a very exciting day! Around lunch-time I board the first of 3 planes that will take me to sunny San Diego for the BlogHer '11 conference! This is my very first blogging conference and I cannot even describe how excited I am. I am bunking with the awesome Amy of Do You Know the Muffin Pan? who was kind enough to offer to let me stay at her place. :) How lucky is she to live in San Diego? We are going to tear BlogHer '11 up! I can't decide what I am the most excited about: meeting in person the wonderful people that I have met online, the huge array of sessions, the parties at night, the expo, etc etc. I think this whole weekend will be an amazing experience. I think some people might be blogging during the sessions, but I am more of a pen and paper kind of girl, so I might not be lugging around the ol' laptop. 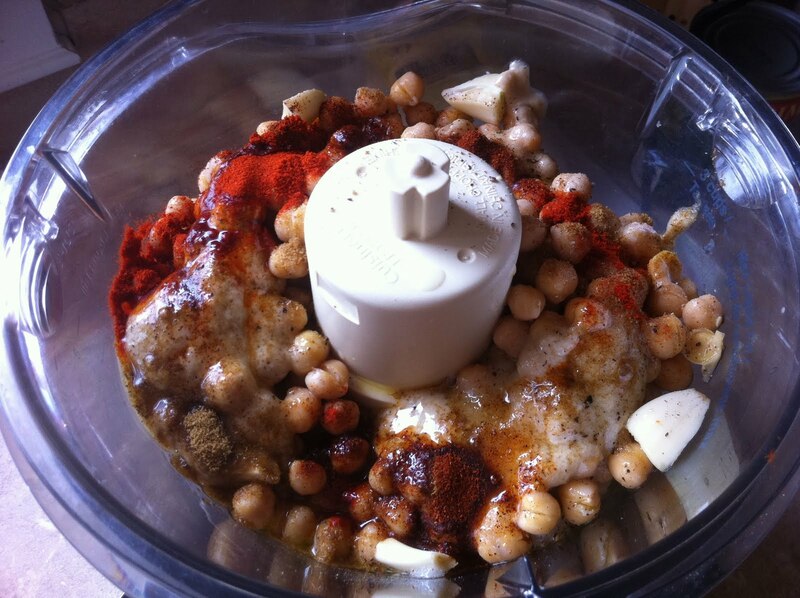 Here is my favourite hummus recipe that I have been chowing down on this week! 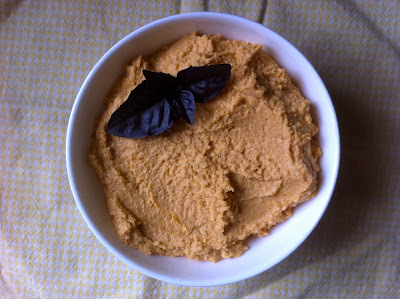 It comes together super fast, and is a great healthy snack (or supper while you are packing!). Serve with crackers, pita chips, vegetables, etc. I was fortunate enough to receive this Blog on Fire Award from Kelly at Eat Yourself Skinny! I feel so lucky to be counted amongst the other amazing blogs that she passed this award onto. Now it is up to me to pass it along to 10 amazing blogs that have made an impression on me. 1) Amy - Do You Know the Muffin Pan? For those of you listed above, now it's your turn! 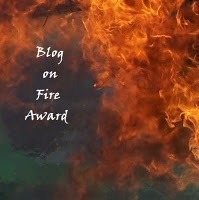 Pass this Blog on Fire Award to the 10 blogs that have influenced you! San Diego - Beaches, Fish Tacos, and Bevies!